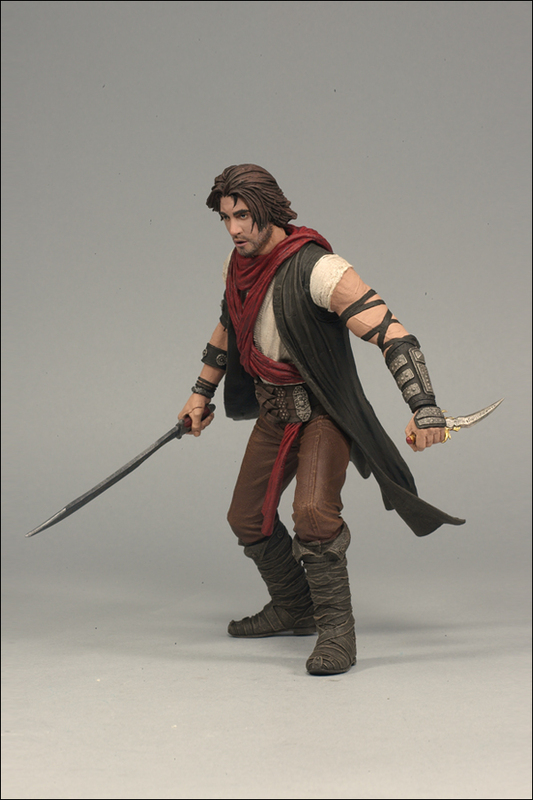 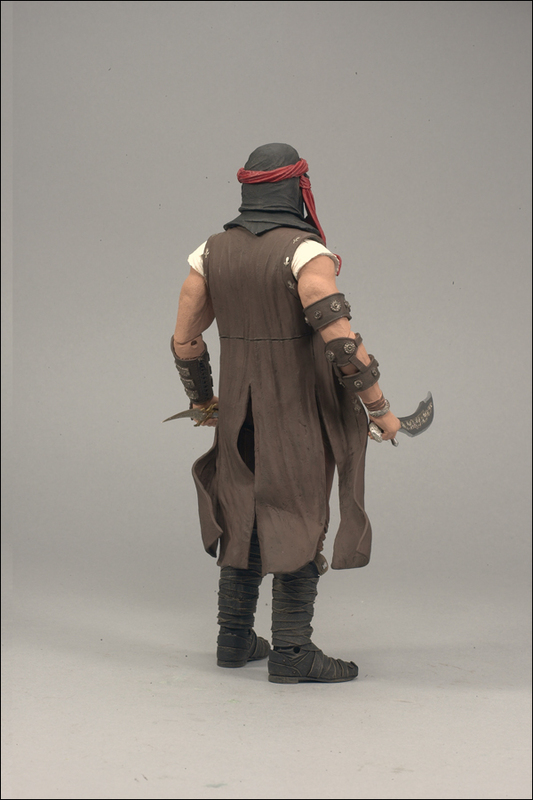 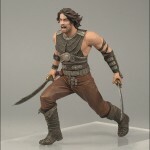 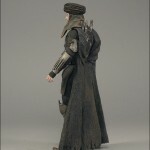 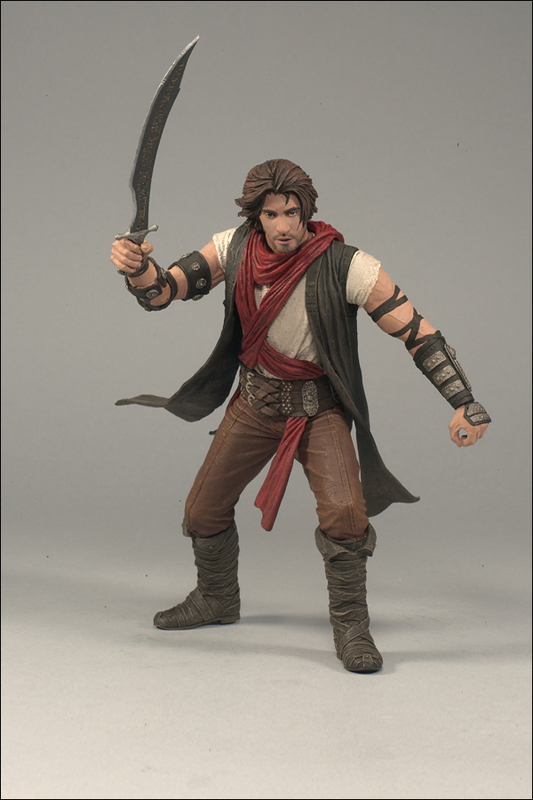 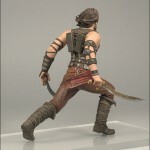 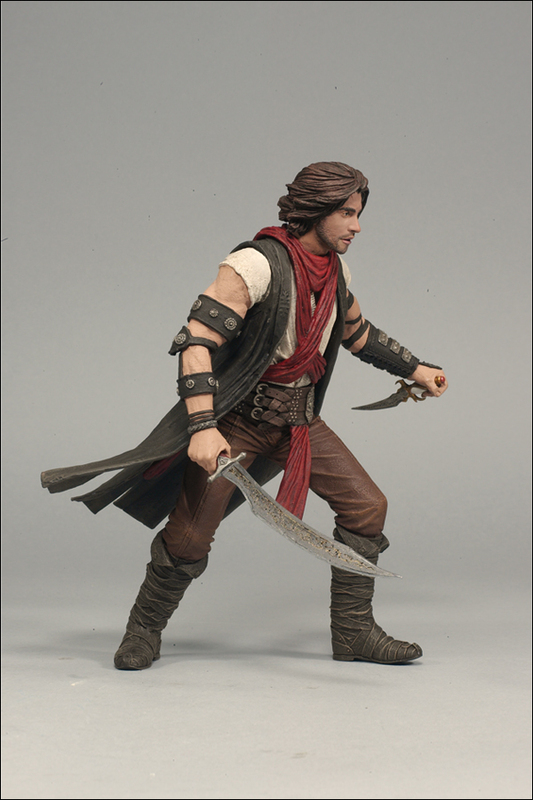 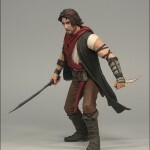 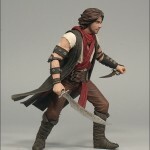 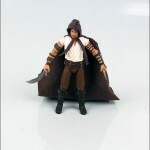 McFarlane Toys has released new “official” photos of their upcoming Prince of Persia: The Sands Of Time figures, previously seen at Toy Fair 2010. 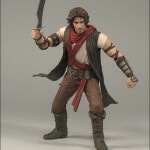 The new figures, based on the upcoming movie that’s based on the hit video game series, are scheduled to hit stores May 2010. 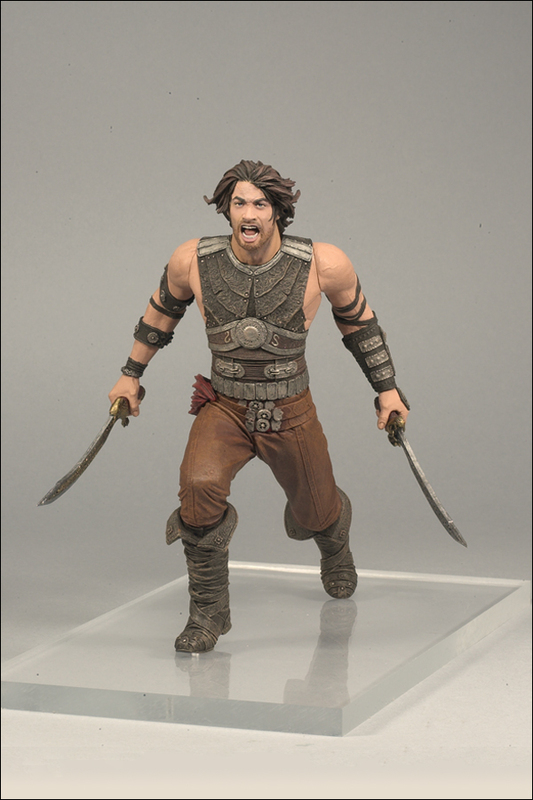 With more than 12 points of articulation and character specific accessories, kids will have hours of fun recreating and playing out their favorite movie scenes. 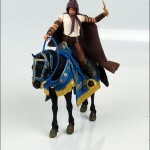 All figures fit with horse boxed set and playset (sold separately). 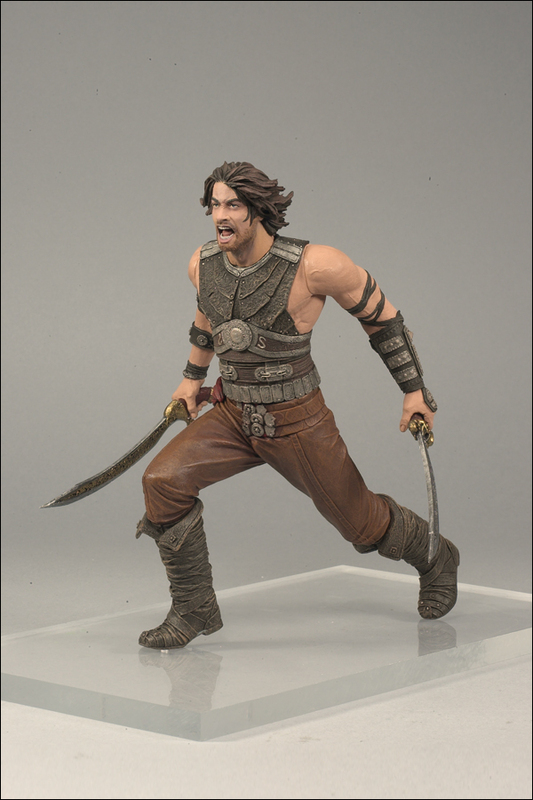 The line includes two figures of Prince Dastan: a Warrior Dastan and a Desert Dastan, Zolm: Lead Hassansin and Setam: Human Porcupine Hassansin. 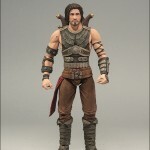 Bringing to life the movie heroes and villains in this line. 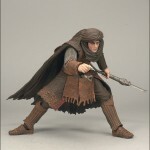 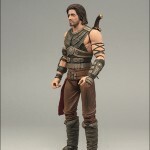 Each figure is fully articulated and includes incredible costuming details and spring-loaded play action highlighting their unique weapons and accessories from the feature film. 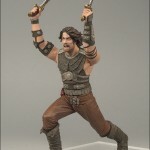 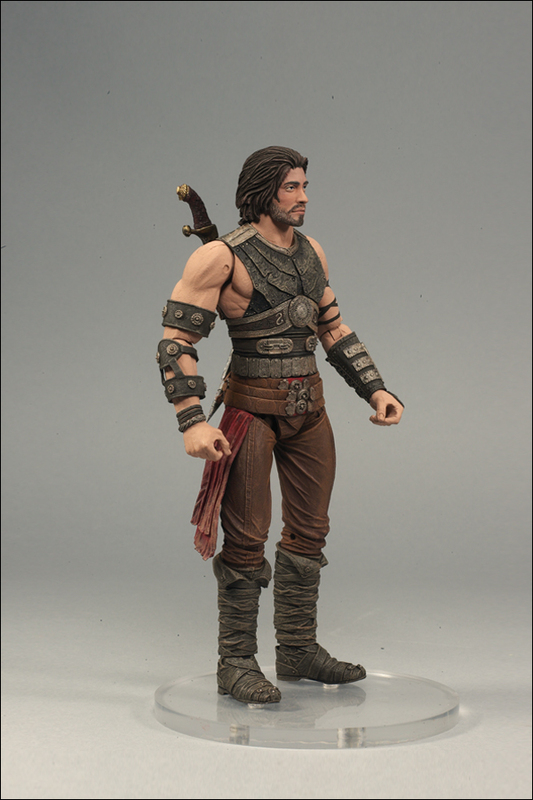 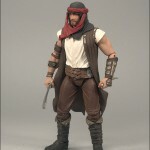 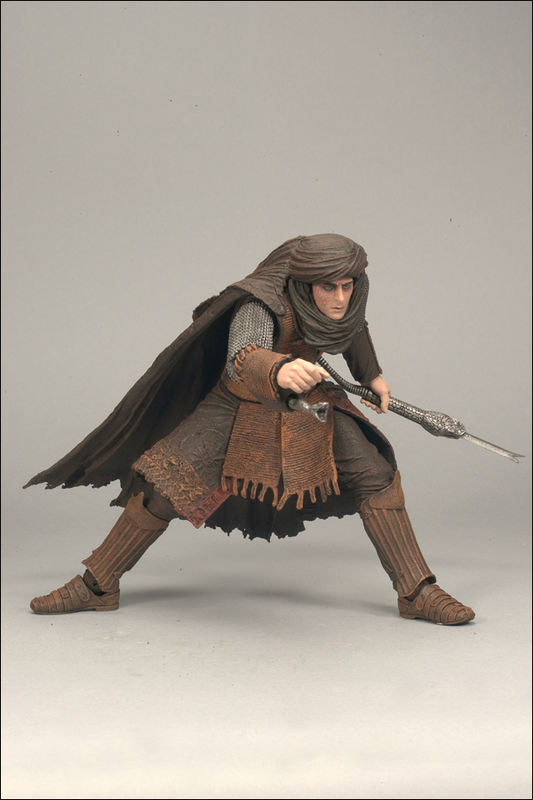 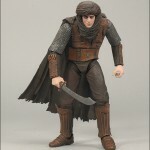 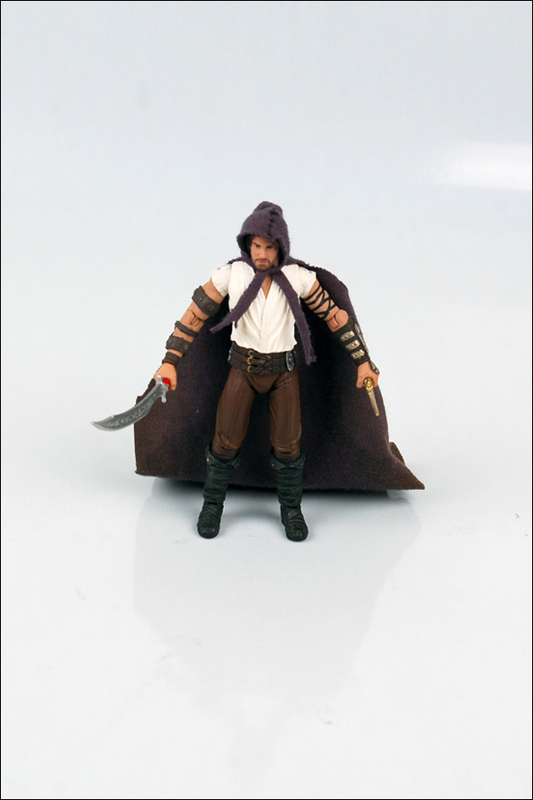 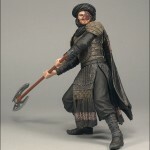 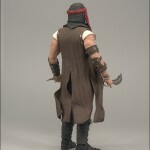 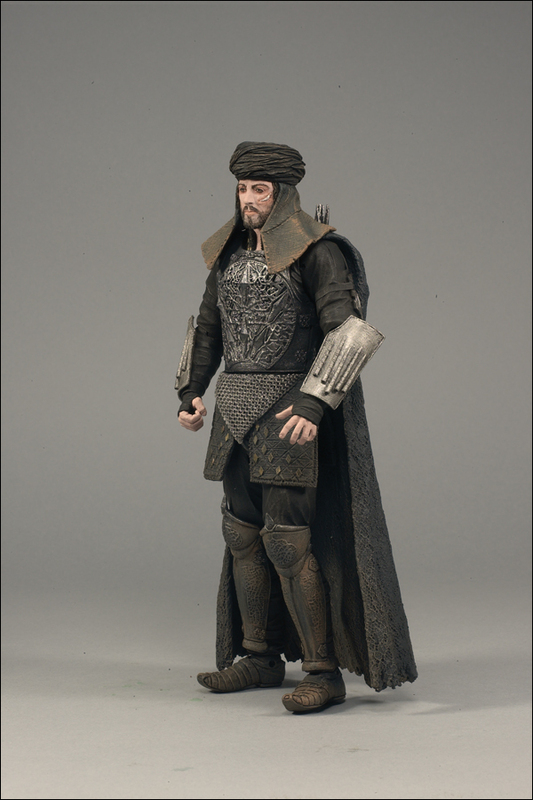 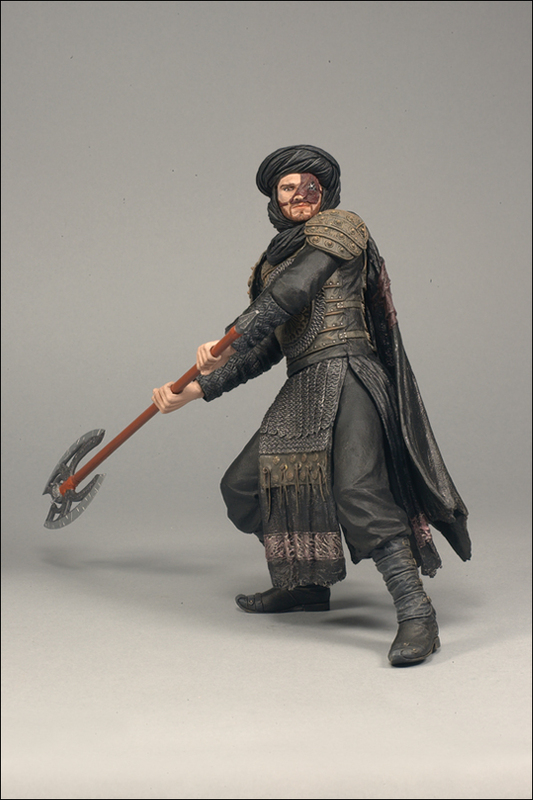 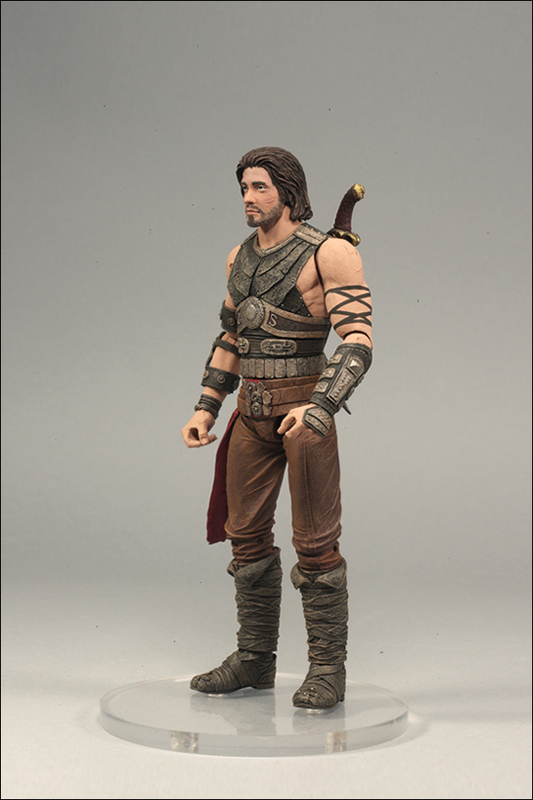 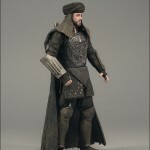 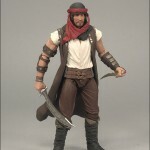 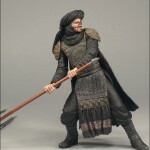 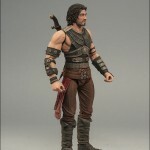 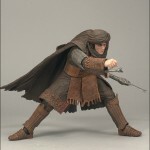 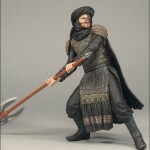 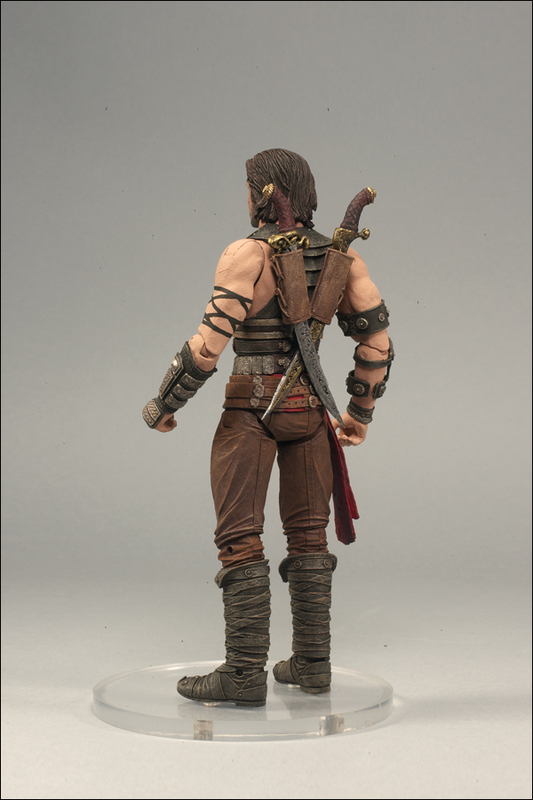 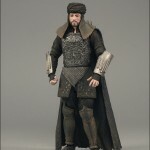 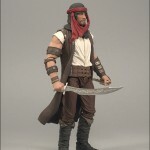 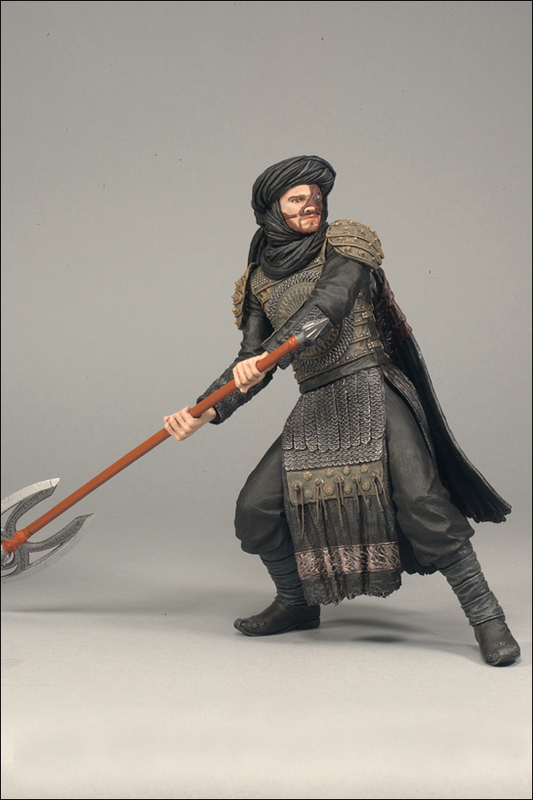 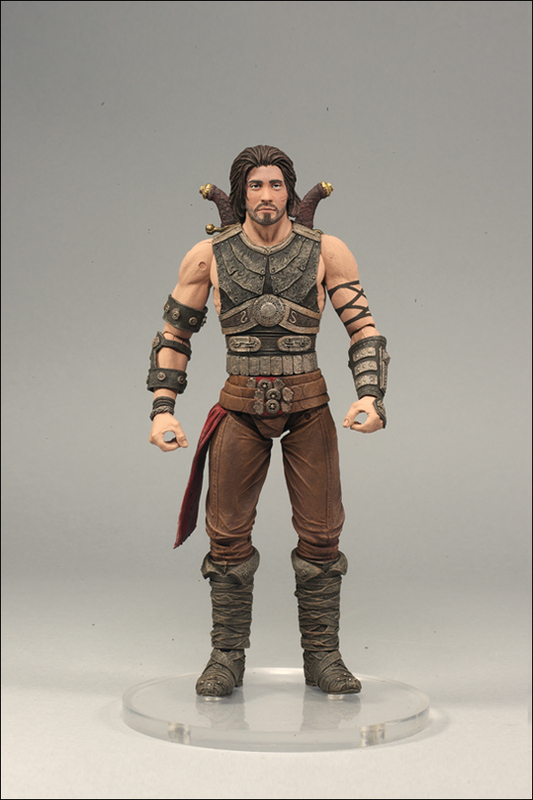 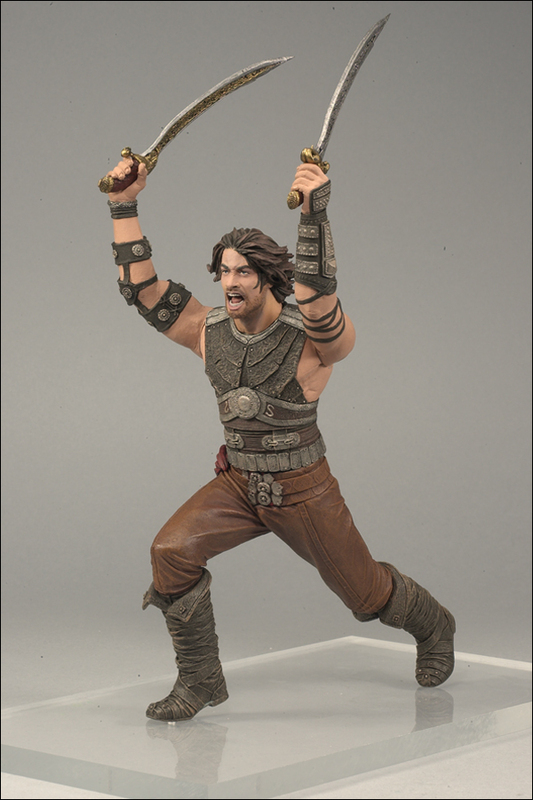 The 6-inch action figure line includes two figures of Prince Dastan: a Warrior Dastan and a Desert Dastan, Zolm: Lead Hassansin, and Ghazab the Double Bladed Halberd Hassansin. 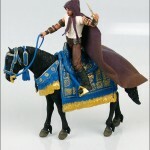 Your imagination leads the way for recreating favorite scenes with the 4-inch Horse Boxed Set. 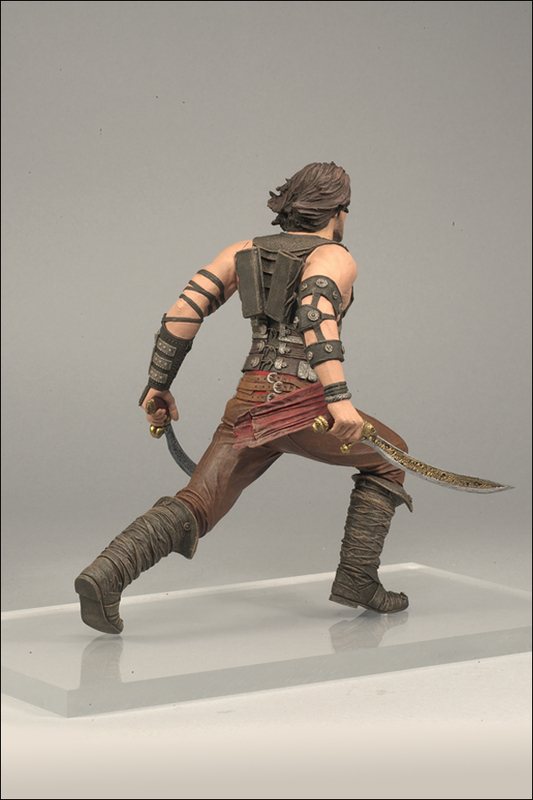 Engage in battle with the adventurous Prince Dastan. 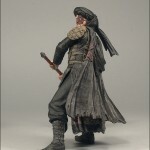 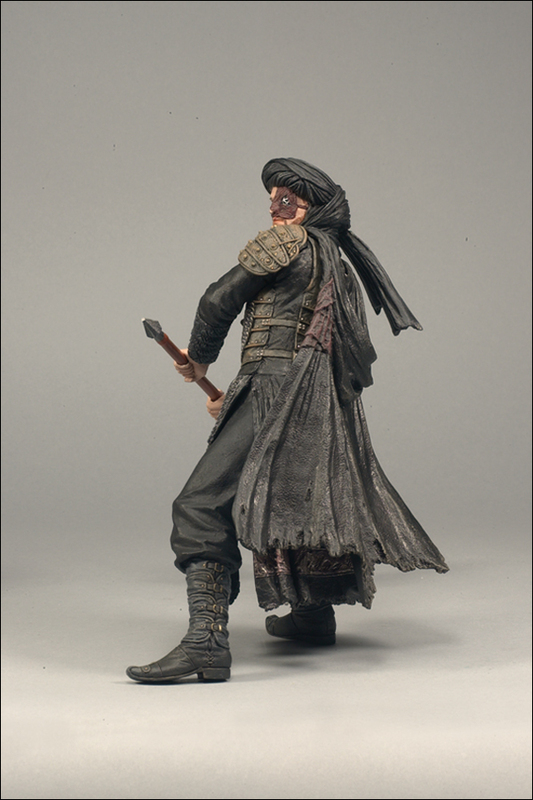 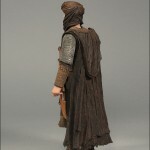 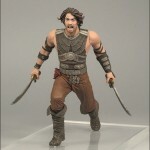 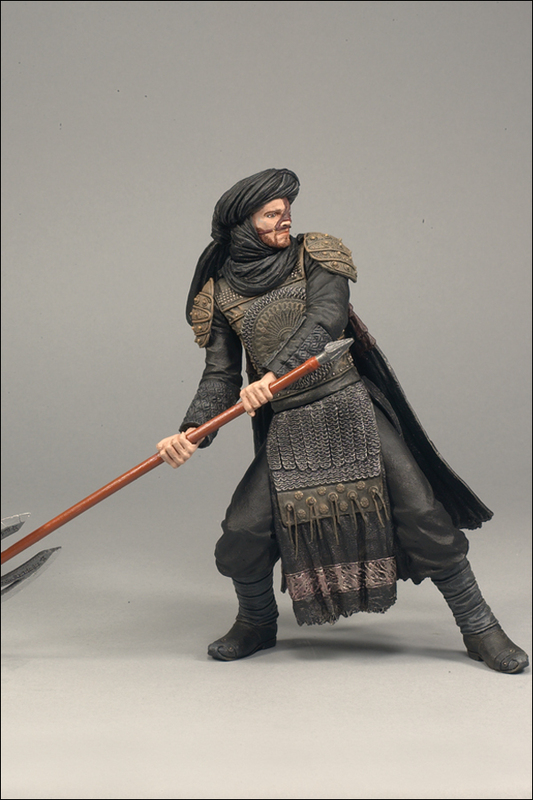 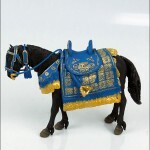 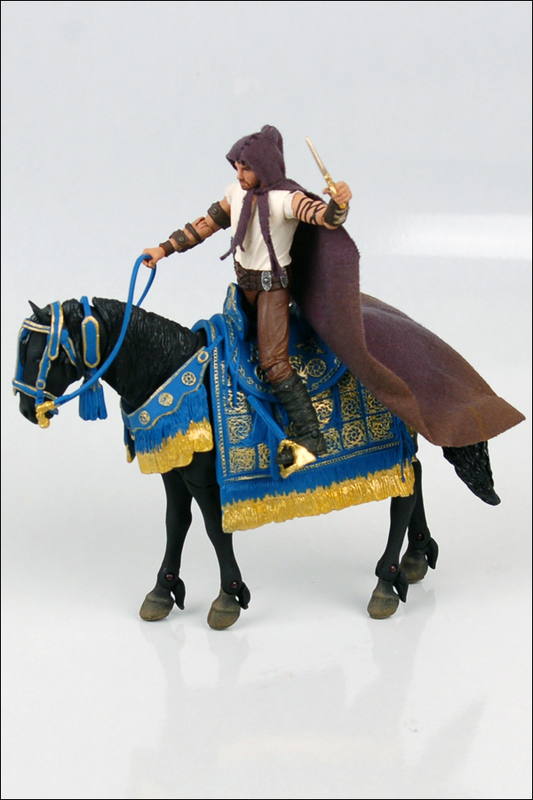 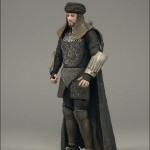 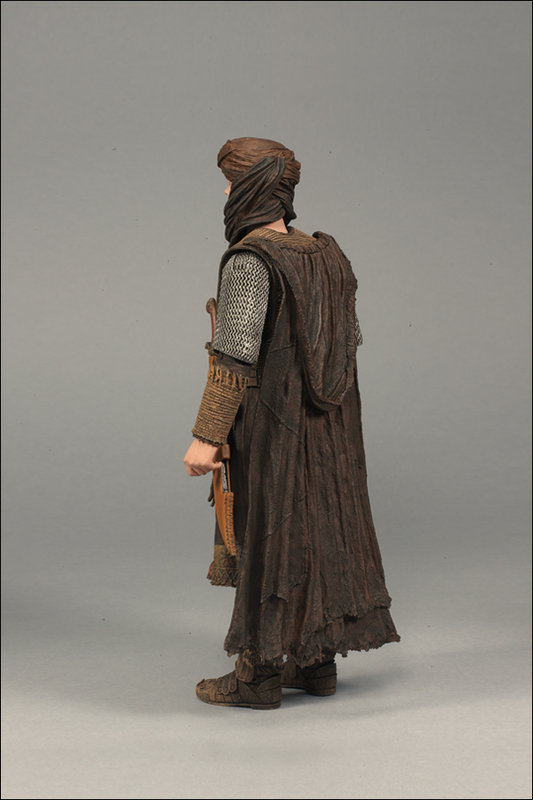 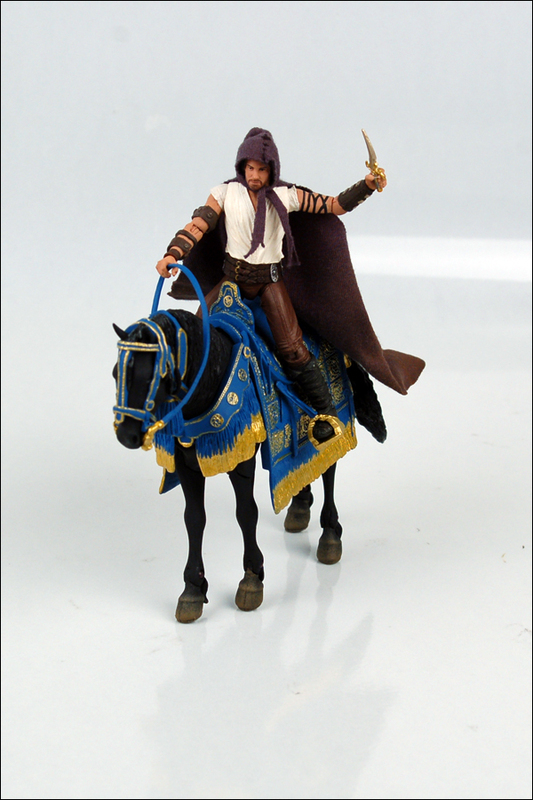 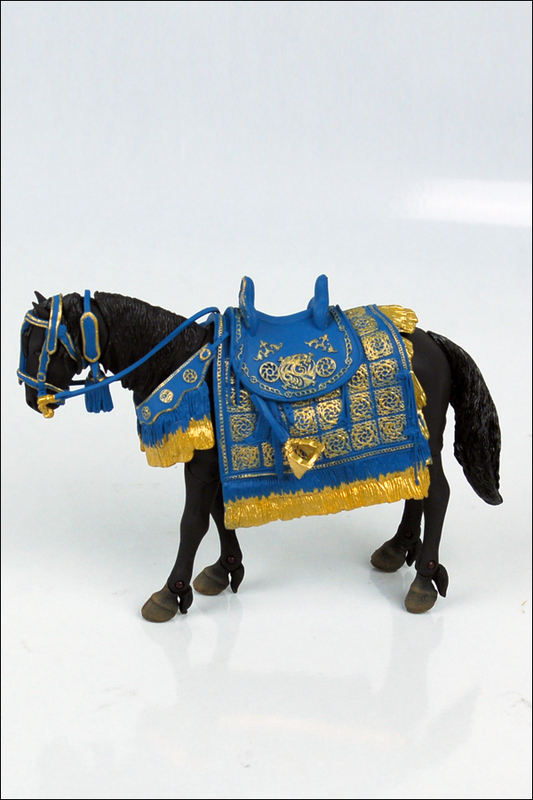 The boxed set includes a 4-inch articulated Prince Dastan figure with his faithful horse Aksh. 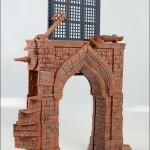 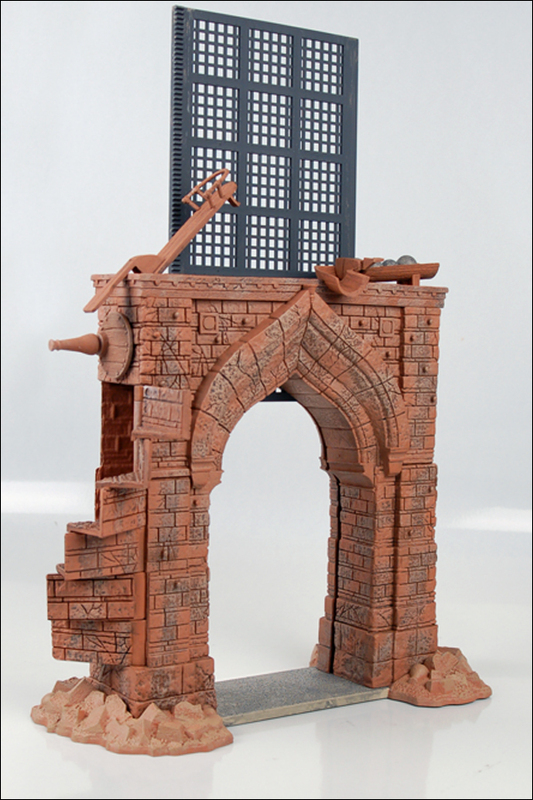 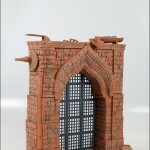 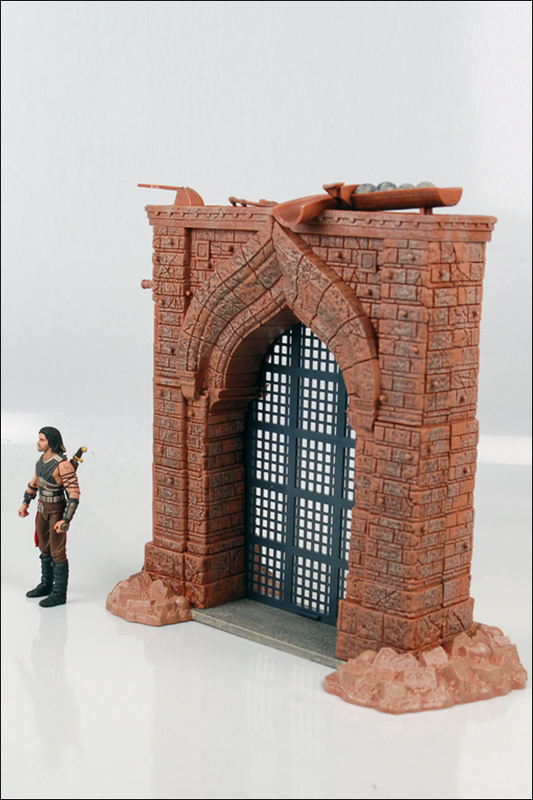 Bring home the fantastical world of Prince of Persia: The Sands of Time with McFarlane Toys’ highly detailed Alamut Gate Playset. 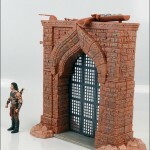 The set depicts a key action sequence from the feature film and contains unique play action features including a spring-loaded rock launcher, retractable gate, secret compartments, hidden traps, slides and working cranks. 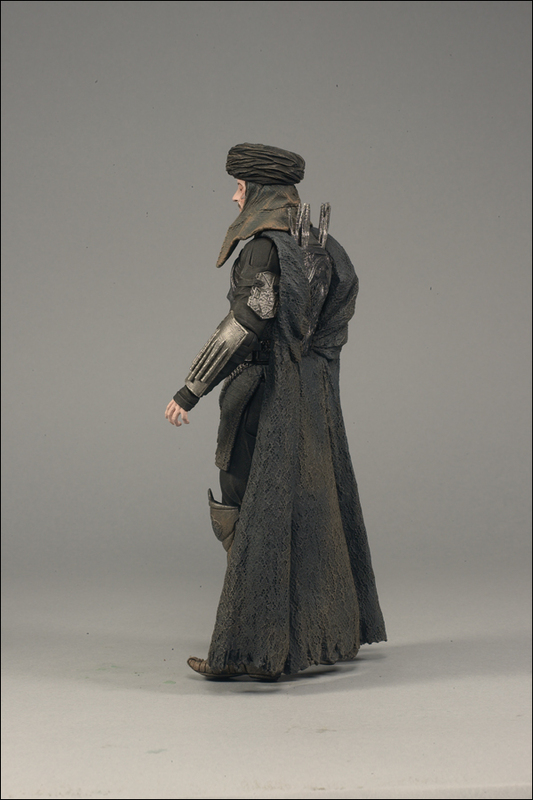 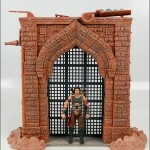 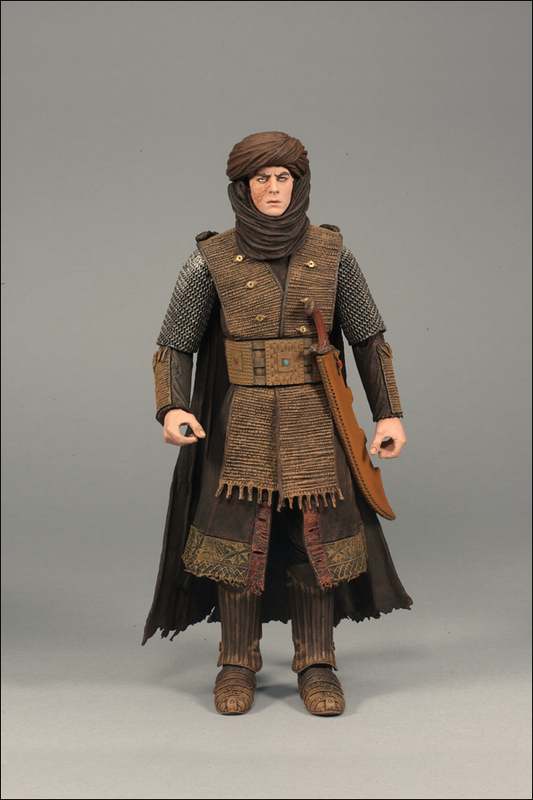 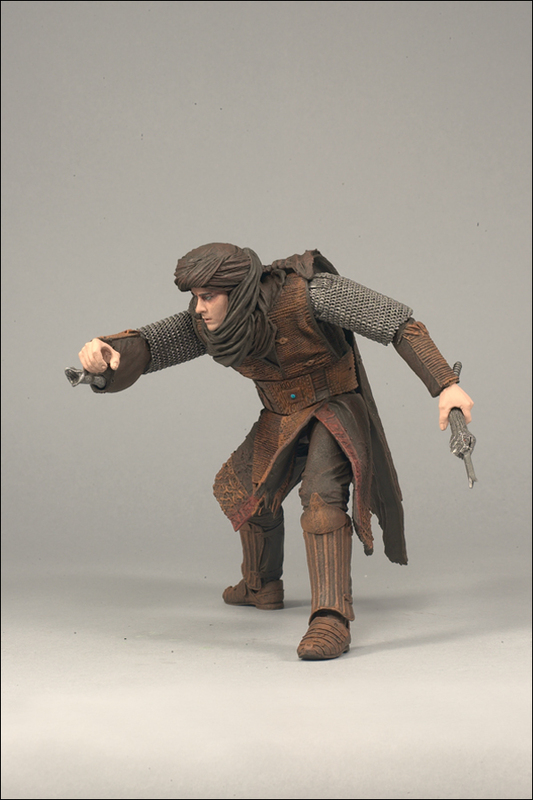 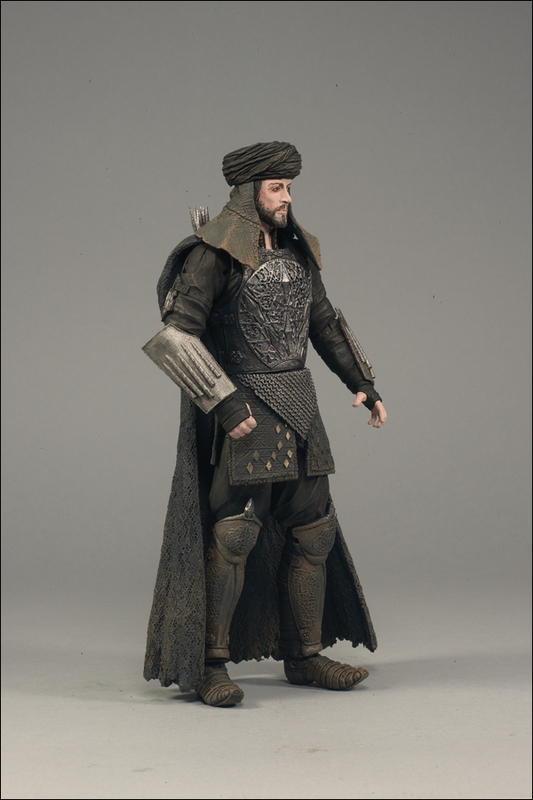 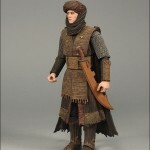 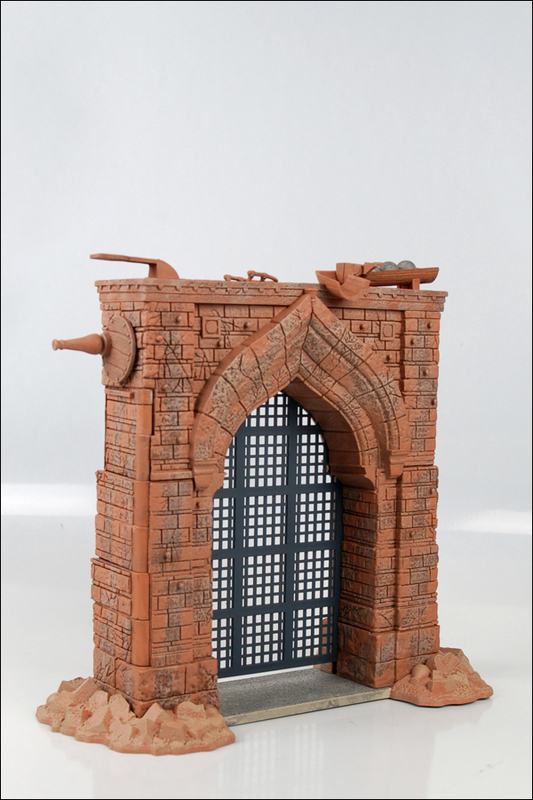 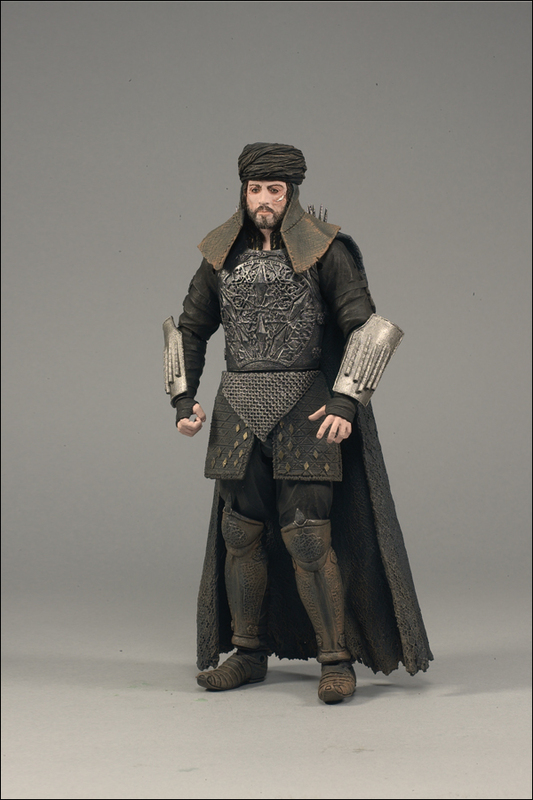 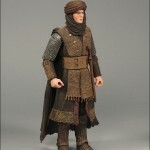 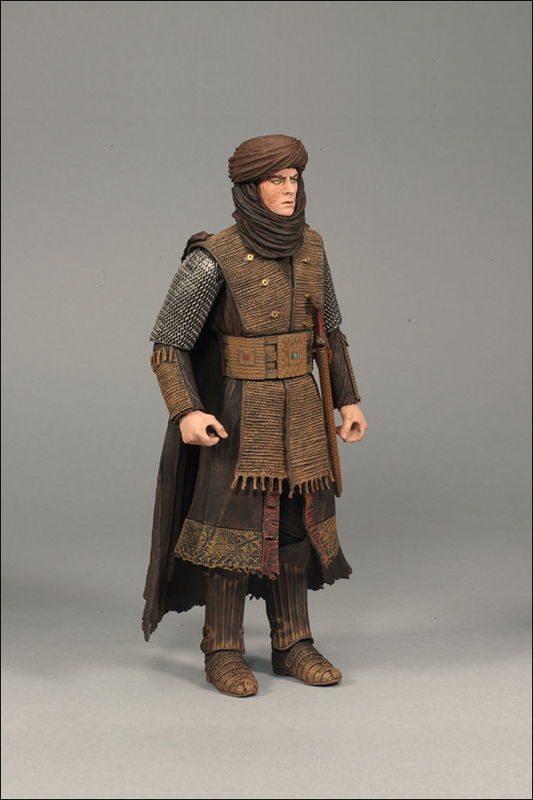 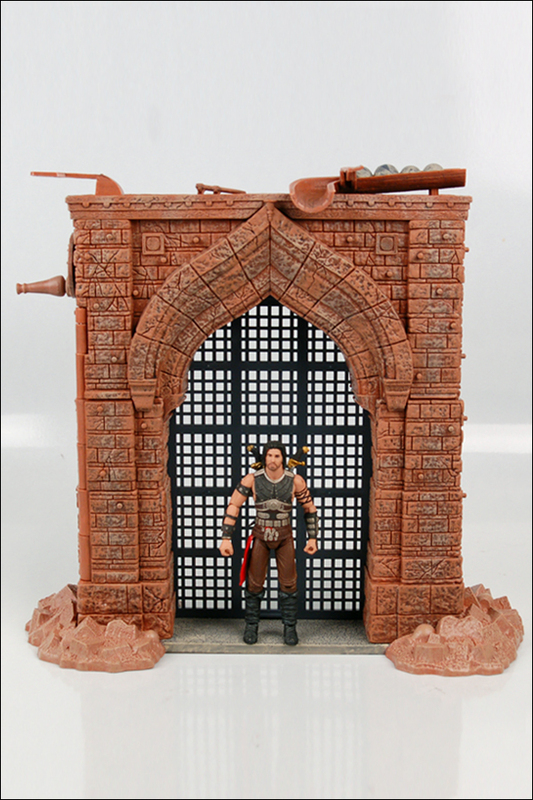 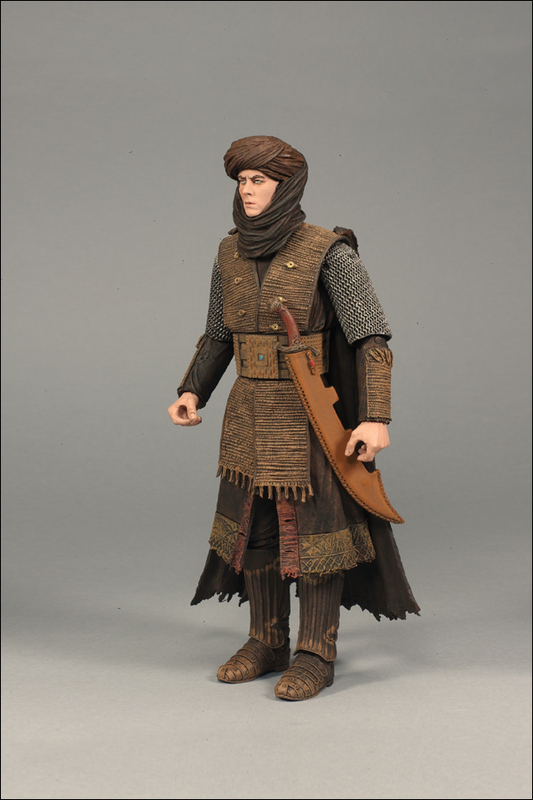 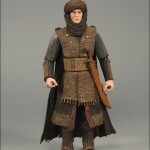 The Alamut Gate playset includes a 4-inch action figure. 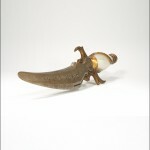 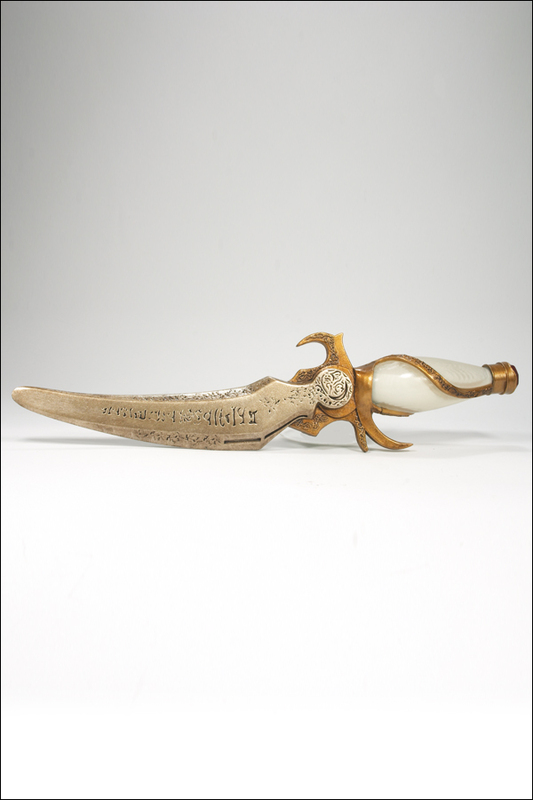 The Dagger of Time is a powerful weapon, capable of allowing its owner to harness the power of the Sands of Time and manipulate time itself. 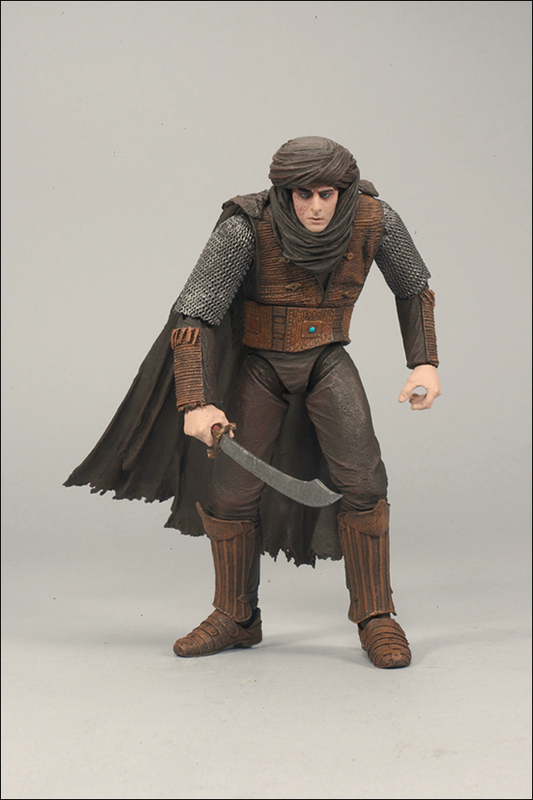 Your mission is to safeguard the ancient dagger capable of releasing the Sands of Time. 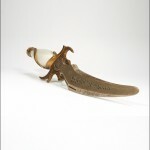 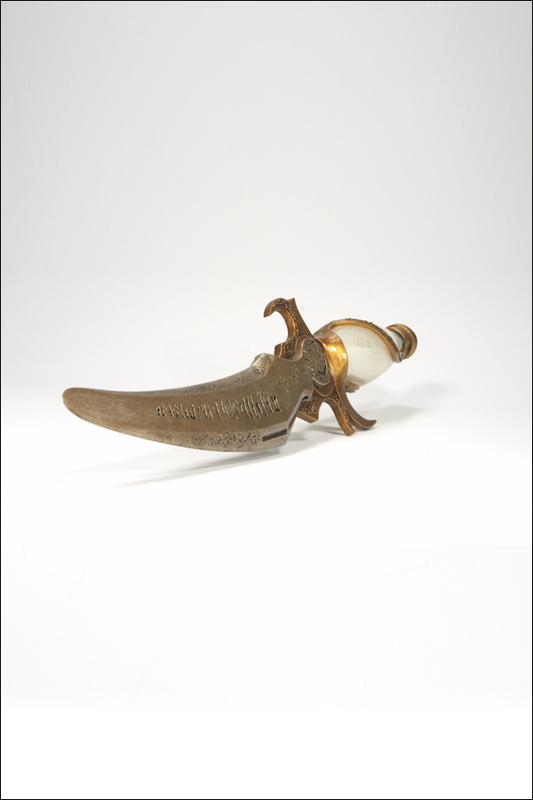 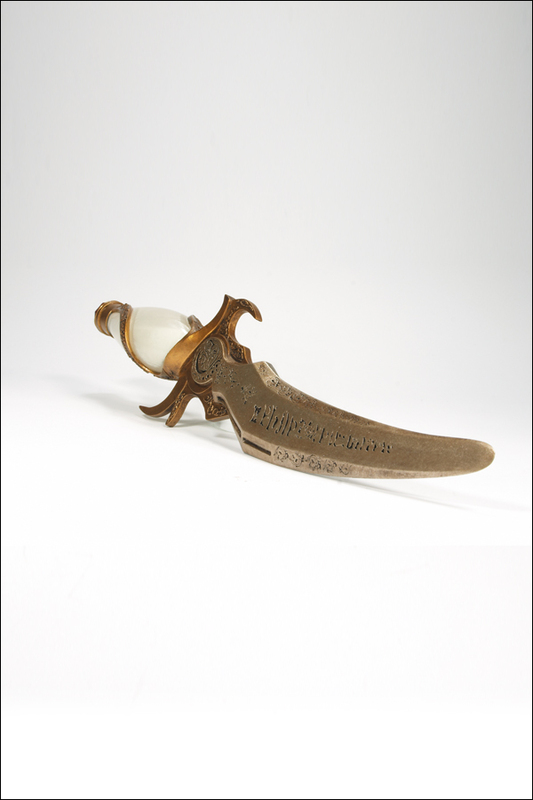 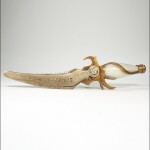 The 10-inch Dagger of Time is sculpted in the exact size and ornate likeness of the movie weapon and features a jeweled handle that lights-up with a high power L.E.D., disappearing sand and soft vinyl blade. 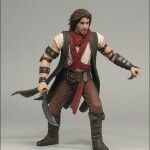 Check out all of the Prince of Persia: The Sands Of Time photos by clicking the headline of the story. 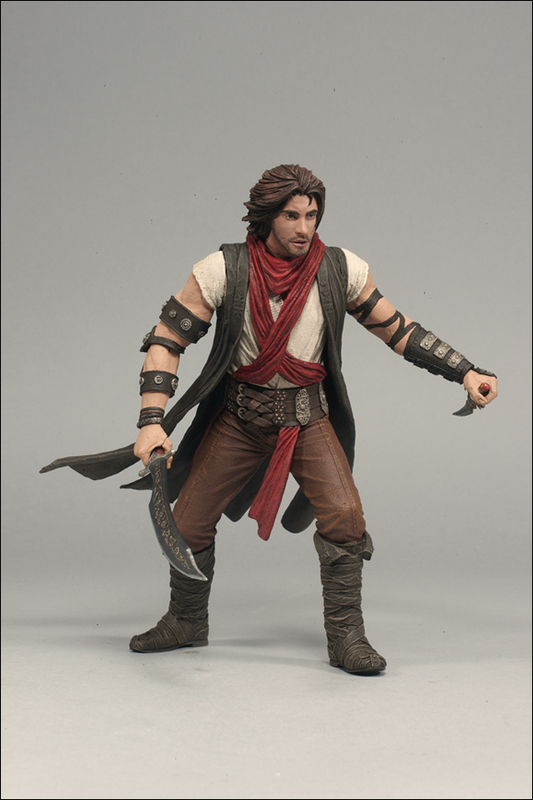 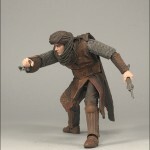 the 6inch unaction figures are typical mcfarlane statues. 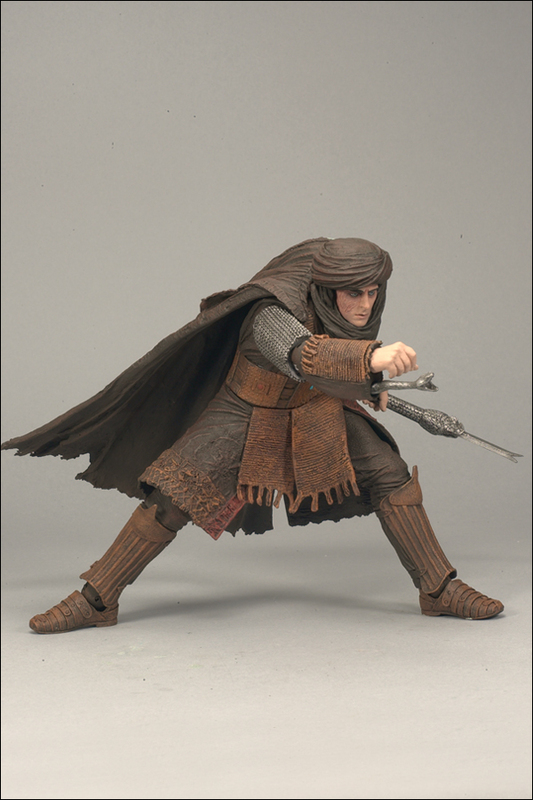 boring and unrealistic poses when will they learn?! 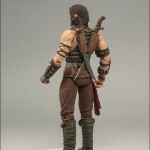 the 4 inch figures look pretty good, the crotches are a far better articulation cut than the HALO diaper crotches, and I hope they go to this style on the halo figs. 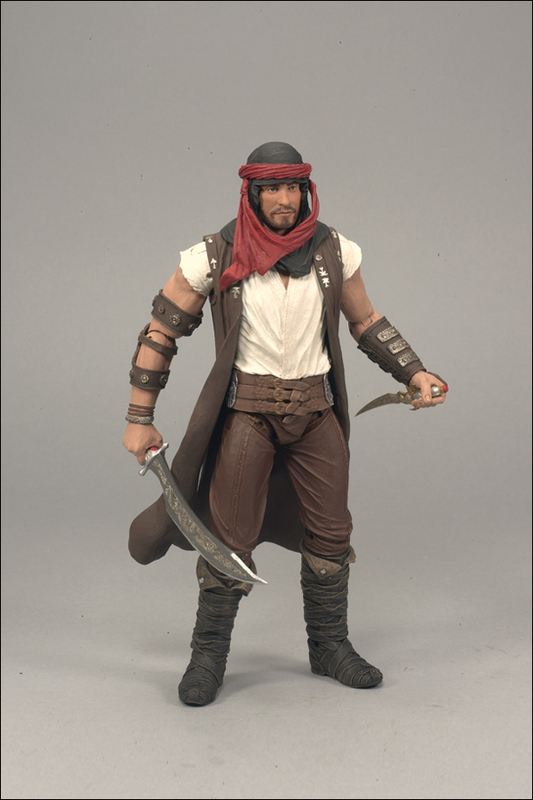 I hope we end up seeing more 4" figures from McFarlane. 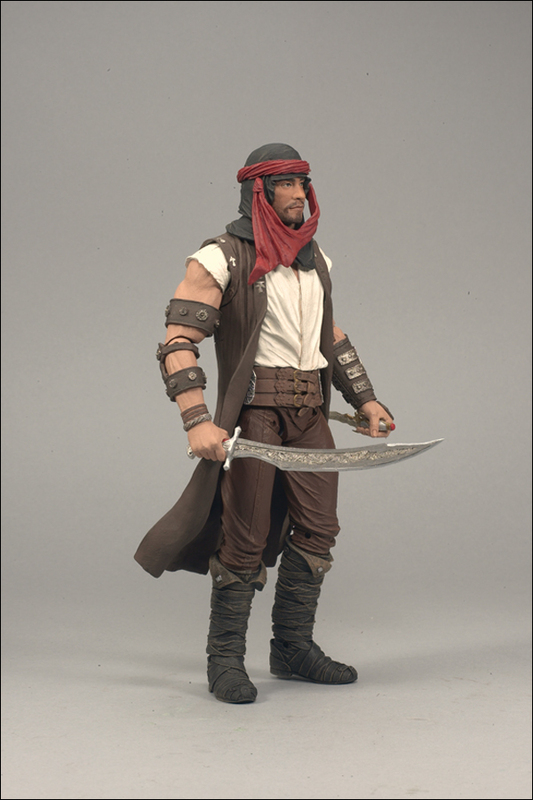 If they can do 4" figures well, it could put McFarlane back on the map. 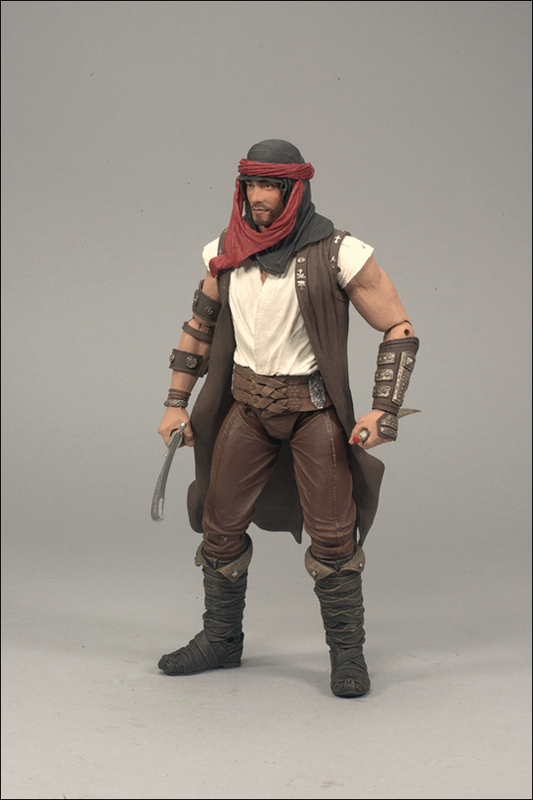 Some nice 4" Spawn figures would be neat.